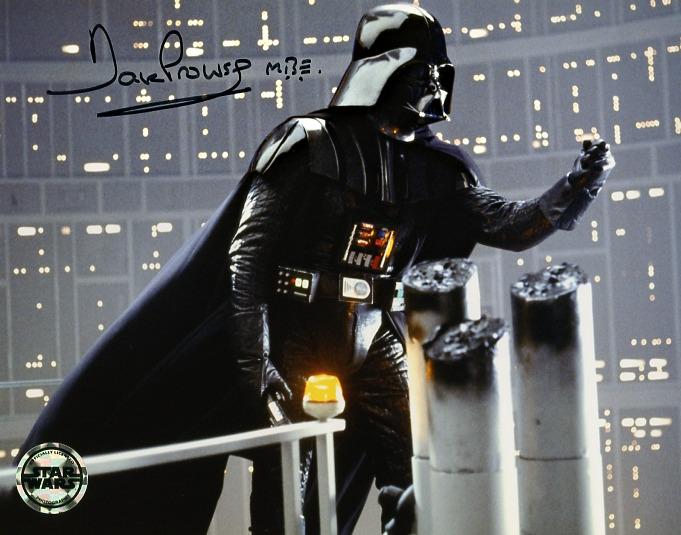 8x10 Darth Vader photo signed by Dave Prowse. Dave signed in silver ink and added M.B.E. after his name (he received and M.B.E. from the Queen). Dave has now stopped signing, so this is a super rare collectible.